Just as I thought I would be, I’ve been very into the Olympics thus far. I’m a sucker for the stories and I love sports – so the added drama of athletic competition doesn’t hurt. It’s hard to imagine the pressure that comes with training for 4 years or longer for the Olympics. Before you know it (50 seconds in some swimming races), it’s over and if you didn’t succeed, you have to wait another 4 years before you get another chance on the Olympic stage. On top of that, some of the athletes are as young as 16, which means that they have potentially been training for their entire lives for that moment. The stakes are high. With an interest level that matches those stakes, the issue of tape delay has been a topic of debate since the games got under way. Personally, I don’t like the fact that NBC shows the marquee events on tape delay in prime-time. In today’s world, it is ridiculous to expect people to wait 5 hours without finding out results. Twitter is much more prominent that it has ever been and even NBC will tweet out results. I have seen people try and shelter themselves from the results so that they can watch live but it is so difficult. Results can be found on any major website, any sports channel on television and twitter just to name a few locations. My plea to NBC would be to show the events live on the sister cable networks and then re-air them in prime-time on NBC. This is unrealistic because they would be diluting their audience and missing out on network ratings by directing viewers to cable stations. That would be a big mistake, speaking in terms of the business side of television, but as an Olympic fan, I can think of no better way to satisfy everyone’s needs given the time difference. I’ve been watching the prime-time coverage even though I already know the results and it definitely has made it less interesting than it would have been. When I do catch something in prime-time that I missed the results of earlier in the day, it is exponentially more exciting. There are live streams of events, which I have tried viewing, but they are lacking the network announcers and they must be watched on a smaller screen. The bottom line is that there is no substitute for the prime-time coverage and it doesn’t seem to matter how long they delay the video of the events. It’s just something we will have to deal with and although I wish it weren’t this way, it hasn’t stopped me (or anyone else) from watching. Don’t expect anything to change because the ratings have been fantastic and ultimately, the content trumps all. The Olympics themselves are compelling enough to get people to watch no matter if it is live or not. 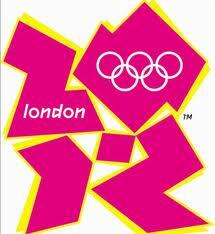 4 years is a long enough time that I legitimately forget what to expect come summer Olympic time. I vaguely remember the spectacle in Beijing during the 2008 Opening Ceremony, but when I sat down to watch London’s opening ceremony last night, I didn’t have any idea what a spectacle it would be. Overall, the ceremony was very impressive, entertaining and represented the magnitude of the event. The bit with James Bond and the Queen parachuting in was clever, even though when the actual Queen was there, she seemed very uninterested in the proceedings. 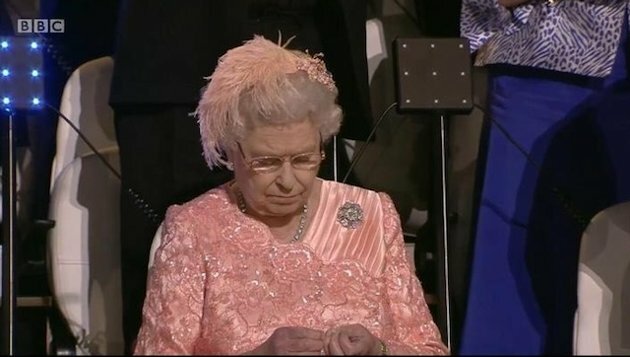 Here’s a screen shot of what she was doing when the host country – her country – marched into the Olympic Stadium. Before the procession of the countries, there was some electric performances and elaborate skits that translated really well on television. The organizers used thousands of lights and video and also used the entire stadium, including projecting images on the audience. This gave the entire ceremony a futuristic feel which I’m sure was quite the experience to see live in person. The procession of countries was also special because everyone shows such pride in their home country. Even though it seemed the countries were going by so fast (which they were), each athlete seemed to genuinely enjoy his or her moment in the spotlight to represent his or her country, no matter how big or small. The torch lighting was spectacular as well. I’ve seen it many times before, but it still is impressive to see the torch officially let. The history that goes along with that moment is still overwhelming and as a sports fan, it’s exciting because it signals the beginning of 2+ weeks of athletic competition. The fireworks show that ensued was the highlight of the entire ceremony for me. We should let the British handle our 4th of July celebrations because that was the coolest fireworks show I’ve ever seen. I can’t imagine what it must have been like to witness that live. It was 3 straight minutes of hundreds of fireworks – all different kinds, going off at once. Pretty impressive and awesome to watch. Finally, McCartney did what he does best to close the ceremony. It was a great moment. I’ve heard him do Hey Jude before a number of times, but there was something extra special about this performance. As everyone sang along, it was a reminder that music really is the great equalizer. No matter the differences between the countries, whether it’s differing ideologies, government, economies or traditions, everyone sang along and was on the same page at the close of those Opening Ceremonies. It should be a fun 2 weeks and I’m sure I will undoubtedly get more and more patriotic as the games go on. It was a great opening ceremony and I bet 4 years from now I’ll completely forget what to expect during the next one. If the actual games are on par with last night’s opening ceremony, I think we’re in for a memorable Olympics. David Chase, Matthew Weiner, Vince Gilligan and David Simon. Those are the names that should go down right beside F. Scott Fitzgerald, Ernest Hemingway, Ray Bradbury and Mark Twain. 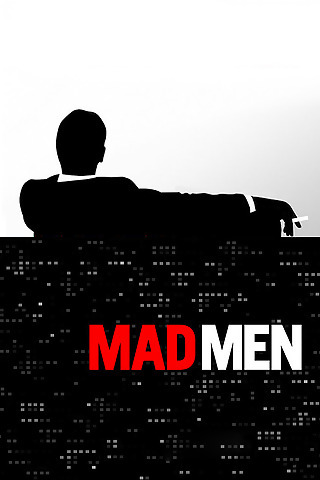 The former 4 names are the show-runners for The Sopranos, Mad Men, Breaking Bad and The Wire respectively. The latter 4 names are obviously more recognizable but for the sake of consistency, they are famous authors. All 8 have one thing in common – they are impeccable storytellers. In the past 15 years, it feels as if writers have taken to a different medium to tell compelling stories. Although, there are still plenty of good authors producing fiction and non-fiction works, some of the best recent drama has come on television. There’s no doubt in my mind that all 4 of the shows previously mentioned would be make tremendous books, but they especially succeeded on television where they had hours upon hours to develop the characters. Television requires great writing along with carefully thought out direction, set design, costumes and casting. Once all of those things are in place, writing for television allows for more subtlety. The writer can say more by actually saying less because we can see facial expressions. This had led to some great acting. These facts, along with the cable networks giving complete creative control to the show-runners has led to the golden age of television. Books and movies are also crippled by the fact that there are no episode breaks and there is a finite amount of time to tell a story. 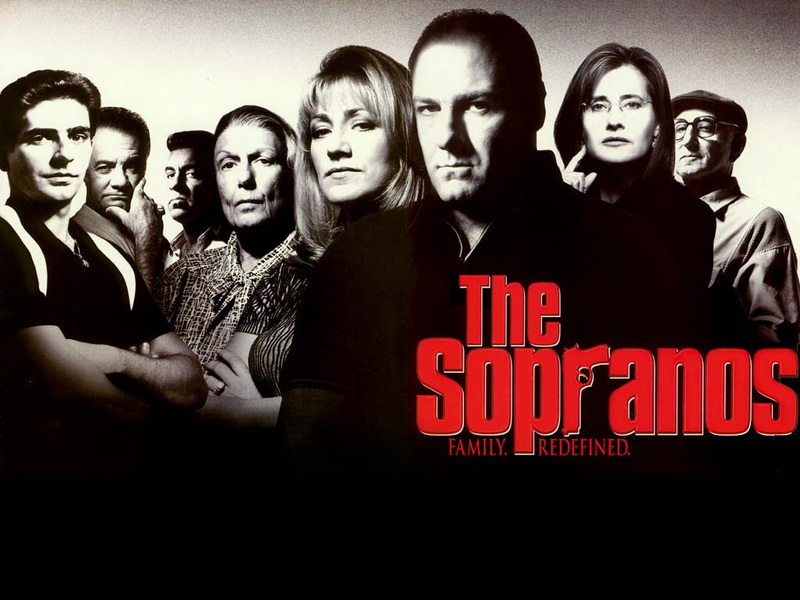 The Sopranos had 86 hours to tell it’s story and by the end you felt an intimacy with the characters that is difficult to duplicate in a single book or movie. I don’t want books to go anywhere. I’m just grateful that some of the brightest minds took television seriously enough to produce memorable stories. 50 years from now when students learn about American art, whether it be books, television or movies, teachers will have to include names like Chase, Weiner, Gilligan and Simon among others. Because like the great authors before them, they have created stories that can be shared, interpreted and discussed for years to come. Like the rest of America, I was shocked and disturbed by the news of the Aurora movie theater shooting last weekend. Sadly, there are becoming fewer and fewer safe places – schools, offices, movies and malls have all been the sites of recent major tragedies. A lot has been written in the past three days about the shooter as we learn more and more about what a deranged lunatic he is. On the other side though, just as much has been written about the heroism and bravery that was exhibited by the victims in order to save those around them. It is easy to lose faith in human-kind after hearing about such a horrific killing spree, but then there are stories from that same incident that restore your faith in humanity. People completely disregarded their own safety in the heat of the moment in order to help and protect those around them. Some helped loved ones, while others protected complete strangers. Three boyfriends died while shielding their girlfriends from the bullets. There were numerous accounts of people who stayed in the theater to administer first-aid to those around them instead of fleeing to safety. Impulse decisions that without a doubt saved lives, while risking their own lives. One particular story of a victim really stuck with me. Jessica Ghawi passed away after getting shot multiple times early Sunday morning. 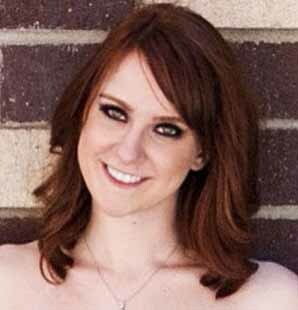 She was an aspiring sports journalist who had just moved to Colorado to continue her up-and-coming career. She wrote under the name Jessica Redfield (because that is her grandma’s maiden name and she wanted to be a journalist but never had the chance). She was seeing the midnight show with a long-time friend and tweeted about it less than an hour before the shooting. After the shooting began, Jessica and her friend were both hit in the leg and eventually Jessica was shot in the head. Her friend did everything he could to keep Jessica alive. Her brother wrote a detailed timeline of events in a blog post early Sunday morning when he had found out what happened. It is extremely difficult to read. Everyone that knew Jessica, from her good friends to those who had just had a small interaction with her, said the same thing. She had an infectious personality and was on her way to becoming a great sports journalist. Her loss is especially tragic given the blog post that she made on June 5 (her final blog post). She had narrowly escaped a shooting in Toronto and she wrote about how fleeting life is. Jessica is one of 12 people who had no business losing their lives that night. I hope to continue to learn more about the victims and the heroes who helped save others that night. I know that I will remember Jessica’s story and the message of her final blog post forever. Things change. 2 years ago, Joe Paterno was a sports legend who was revered by Penn State fans and respected by all. Unfortunately we didn’t know the whole truth at that time and now that we have been enlightened, I think it is fair to say that the public opinion of Joe Paterno has changed drastically. I don’t want to discount any of the good that he did throughout his career – both on and off the field. He was a philanthropic and educational champion but a poor decision to participate in the covering up of horrific acts committed by a co-worker and friend might be his everlasting legacy. It’s tragic that he lost his job and his life in 3 short months. 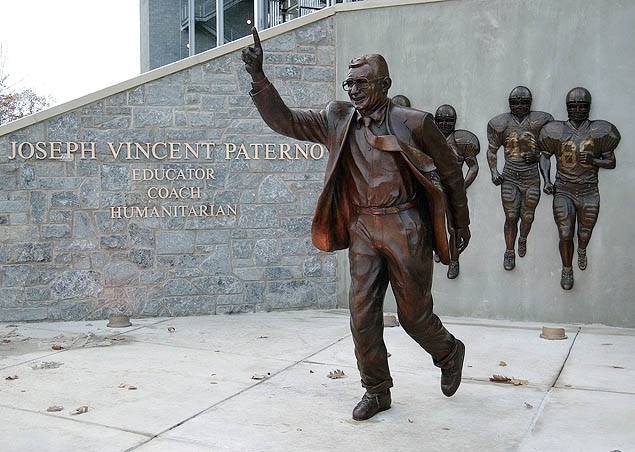 However, given what we know now, the Paterno statue in Happy Valley must be taken down. People can not continue to honor him anymore and leaving that statue up becomes a constant reminder of the past 8 months. When a little kid walks up to that statue 10 years from now and asks “Who is Joe Paterno?” The answer will have to include Sandusky and how Paterno’s career came to it’s unfortunate end. In order for everyone to move on, including the victims, the statue must be taken down. One of the major human flaws is that we constantly view things in black and white and attribute permanent character traits to people. For example, if someone is nice, then they are always nice. But how easy is it for someone to be nice one day and mean the next? It happens all of the time and it is very rare that you find final character traits. People make bad decisions and people change. I believe that you have a spectrum of character and you fall somewhere on that spectrum on any given day. Paterno is without a doubt on the nice spectrum but he deviated to the border with his actions (or lack thereof) regarding Sandusky. There are very few things (if any at all) that are black and white. A gray area almost always exists and this is something that is hard for us to accept. For this reason, we work hard to avoid them and consistently speak in black and white terms. I want a happy-ever-after story as much as the next person but it is not always reality and speaking in generalities and extremes only perpetuates the lies. I have many celebrity role models, but I also take them with a grain of salt. The role models that I cherish more are those in my personal community who directly influence my life, and speak with me consistently. I know them infinitely better than I do my celebrity/sports role models and chances are if they are hiding a character-damaging secret, I will find out about it much faster. It’s a lot easier to get the whole story from those with whom you speak first-hand. Furthermore, you can have knowledge of and accept their gray areas instead of being fed an idealistic, fairy-tale image of a celebrity. For all of the good Paterno did, he also caused a lot of harm by his inaction. The faster we accept this, the faster can move on. The first step in accepting his flaws and changing 70+ years of adoration is taking down his statue. Bruce Springsteen has been known to give the fans their money’s worth. 4 hour shows are commonplace and although he is climbing into his mid 60’s, Bruce still delivers arguably the best live show out there. Saturday, the Boss was doing his thing, in the middle of a spirited and energetic set. The Hyde Park crowd was treated to special guests (as is usually the case at the Hard Rock Calling Festival) including John Fogerty and Tom Morello. 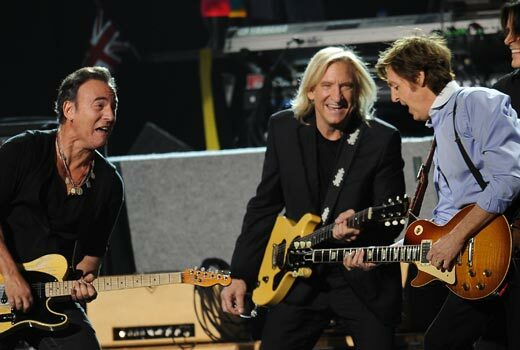 Towards the end, Sir Paul McCartney joined Bruce and the E Street Band on stage. Two rock legends who had never played together before were jamming on stage. I know I would have paid hundreds of dollars to witness this myself. I can picture grown men literally crying over this rock pairing. Then in the middle of this greatness, the venue cut their mics because they had gone past curfew. Bottom line is that if these guys want to keep playing, you let them play until they want to stop. I just hope that someday Bruce and McCartney get on stage together again. If they ever need a place to play together, I’ll gladly provide the venue any day of the week. Here’s a video of their last song followed by Bruce being told that the mics have been turned off. I think I’m addicted to golf. There are so many great aspects of the game and during my last time on the course, I got to thinking about exactly why I enjoy playing so much. 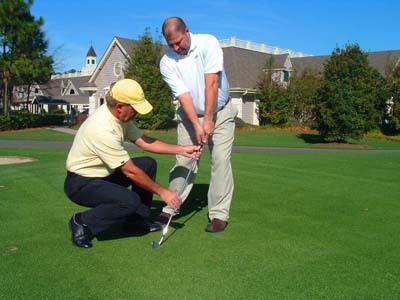 In almost every other sport (or as golf is often categorized, leisure activity), the playing field has set dimensions. With the exception of a few minor changes, like the outfield walls of certain ballparks or the distance of a 3-pointer in college, the dimensions are consistent. The base paths are always 90 feet apart and a football field is always 100 yards long (unless you’re in Canada). 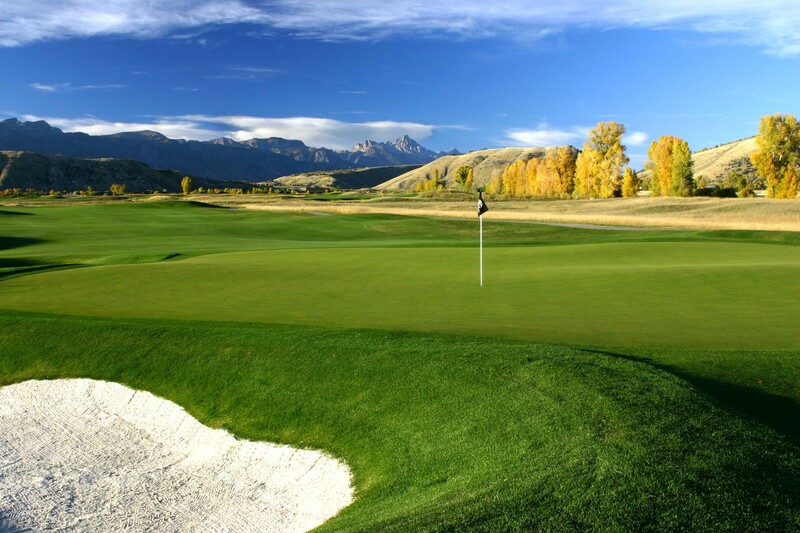 In golf, not only are minor details different on a daily basis (pin and tee box placement), but there are no two unique holes or courses in the world. 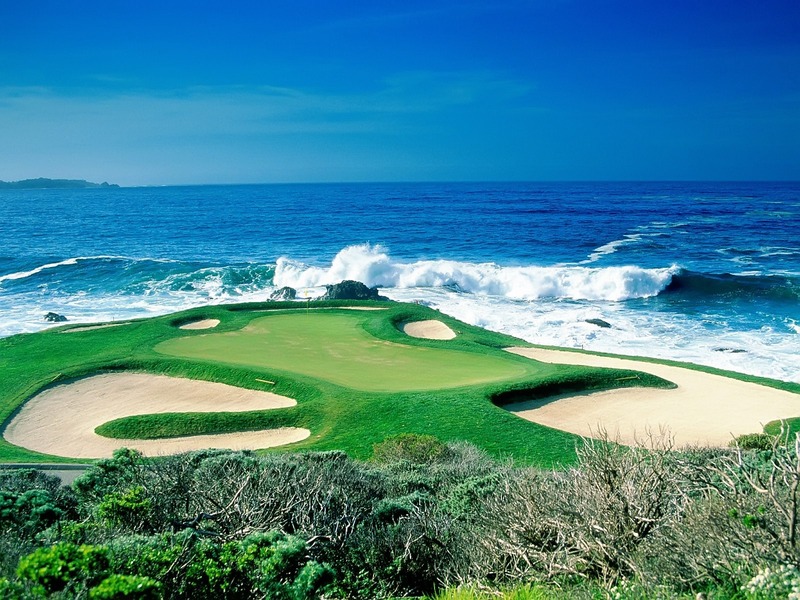 You could play a new course everyday for the rest of your life and never play the same course twice. Furthermore, no matter how many times you play the same course, every time feels like the 1st because you never play it the exact same way twice. 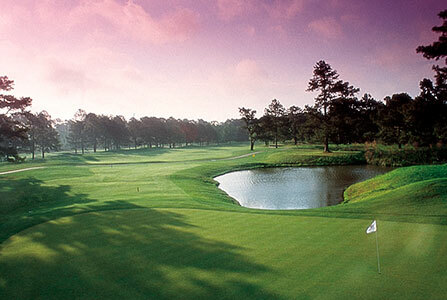 This uniqueness, along with the vast selection of courses around the world to play, makes golf really special and adds to the challenges of the game. There is a correct way to do everything in sports and consistency is a constant goal. Every motion that is required to complete a desired outcome can be taught and perfected. Innate talent combined with the work ethic to master those movements usually equals success. Golf is no exception. Saying golf requires consistency to succeed is like saying that Goodfellas is a good movie. It’s a fact. You have different swings for different clubs, and when you hit that club, you need the swing to be the same every time. I know that I will not hit a good shot every time because otherwise I would be a professional. Even they hit bad shots. Terrible shots are going to happen, every single round, often multiple times during a hole. There are varying degrees of a bad shot but if there is one thing that is for sure, it’s that there will be poor shots. And if you hit a second ball for fun or practice, it will always be better than the first. The key is dealing with these bad shots, overcoming them and not letting them affect the rest of your round. It’s so easy to dwell on a shot or a hole and think about what could have been. Golf has taught me to have a short memory and move on to the next shot. Just as in life, there will be poor decisions and possible regrets that will tempt you to dwell on, thus affecting your next move. If you just move forward and focus on the hitting the next shot to the best of your ability, you are working towards a better round (or life). I’m grateful to golf for teaching me that lesson and I continue to strive for consistency. Imagine the above photo was your office. It becomes one daily for people conducting business over 18 holes. What other sport (or leisure activity) allows you to discuss business while playing? Can you imagine discussing terms of a potential merger through grunts from opposite sides of a tennis court? Golf is the perfect networking game. There’s a lot of down time throughout a round and you can really get to know someone by playing 18 holes with him or her. I love the fact that you can spend a productive business morning on a course one day and then play with family or friends for fun the next. I will never turn down a business or charity golf outing. When I’m on a golf course, I really appreciate how green everything is. 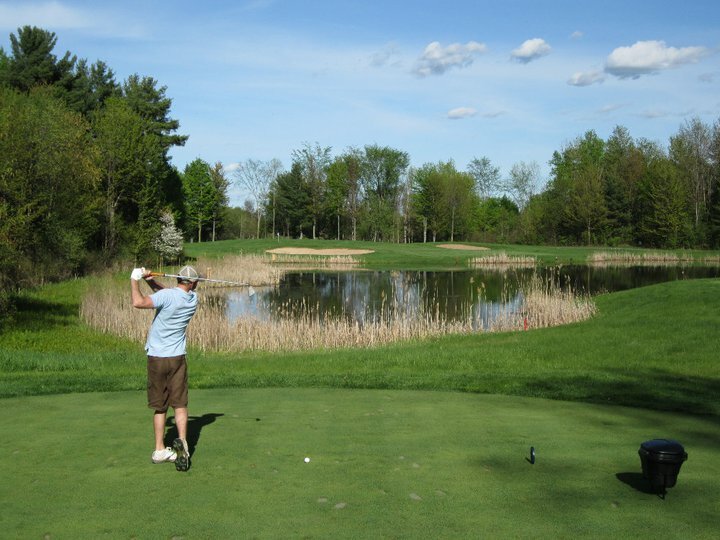 I’ve always enjoyed being outside, no matter what I’m doing, but a nice day on a golf course is especially stimulating. It’s probably because I enjoy playing so much, but either way one of the joys I get out of playing is the fact that I get to be outside. Add to that a nice course with nice views overlooking water or mountains etc., and I’m a happy man. 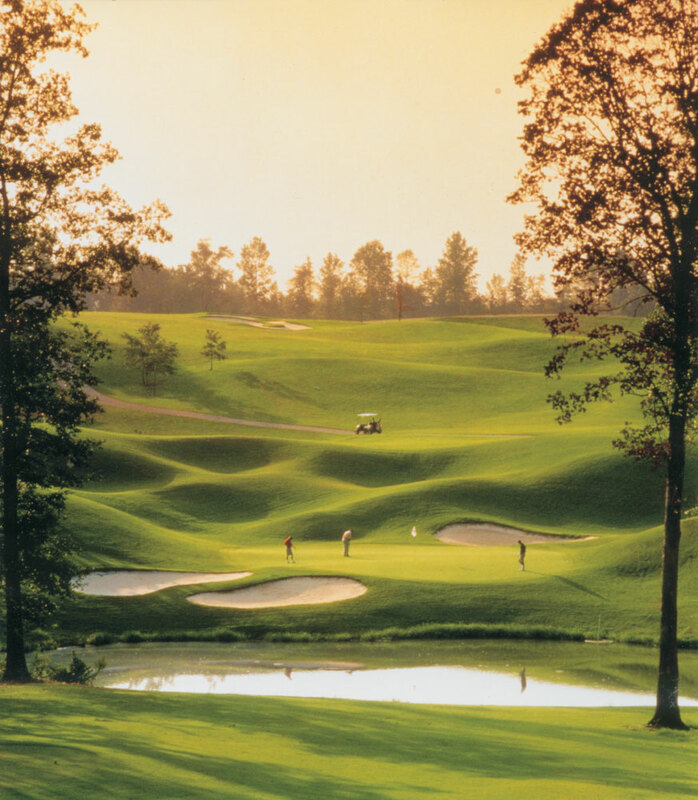 Playing on a course that is well-kept with true greens and manicured tee boxes always makes the experience more fun. There’s too many nice courses out there and if I could, I think I would just travel from city to city sampling them – improving my game and being outside of course. Golf is without a doubt a social game (see reason No. 3), but when it comes down to it, you are playing against yourself. You know what you have shot in the past and what you need to do beat that score. Everyone that you’re playing with is playing the same course, starts in the same tee box and ends in the same hole. Only you can control what you do on the course and there is no one to blame but yourself if you fail. You can play a match and have an “opponent” but there is no one preventing you from accomplishing what you want to besides yourself. There’s no defense, no obstruction and no clock. It’s you vs. yourself. I love that golf is an individual game and I think that this is partially what makes it such a mental game. The individual and mental aspects are unlike most other sports and those variables makes golf both extremely frustrating and rewarding. But like reason No. 2, it makes golf what it is and it’s why so many people keep coming back. I know I’m not alone in my addiction to golf and I just hope I’m fortunate enough to continue to enjoy these byproducts of playing such a great game.